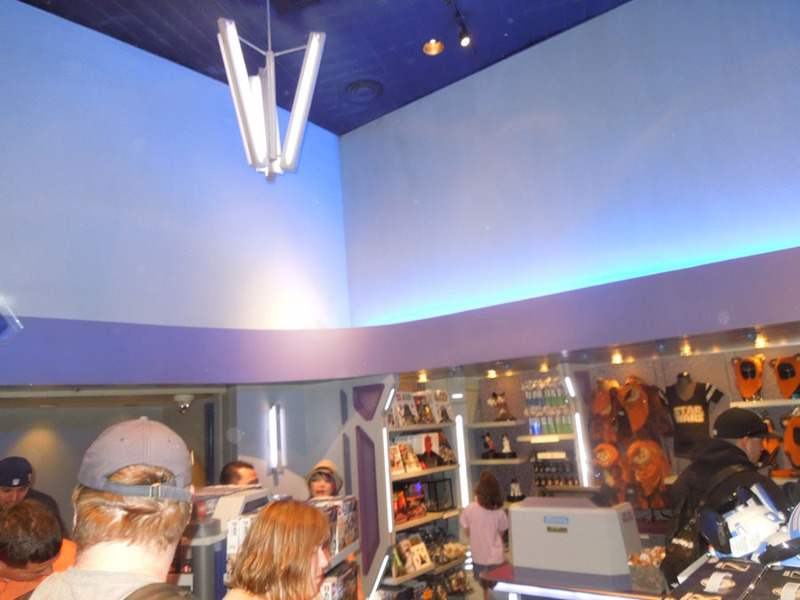 I apologize for not having very many photos of the actual inside of the Star Trader store. 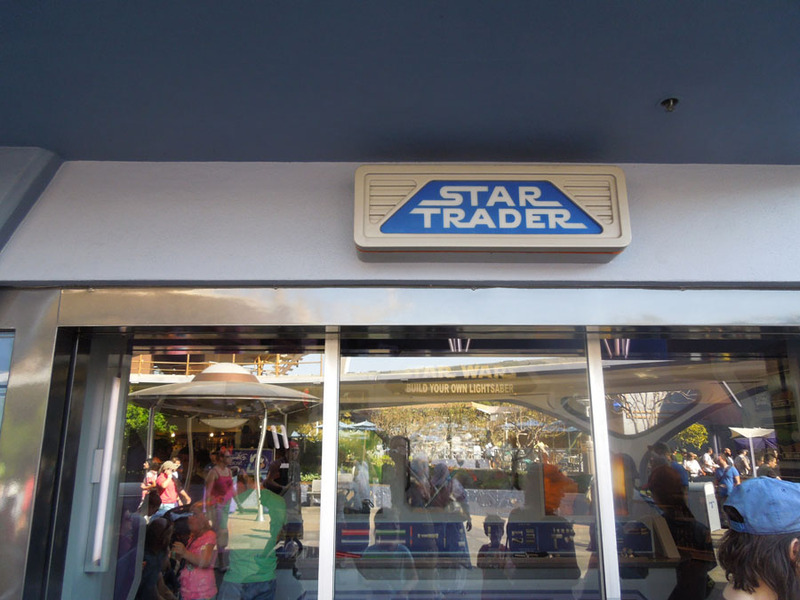 Star Trader is the gift shop through which everyone exits Star Tours. 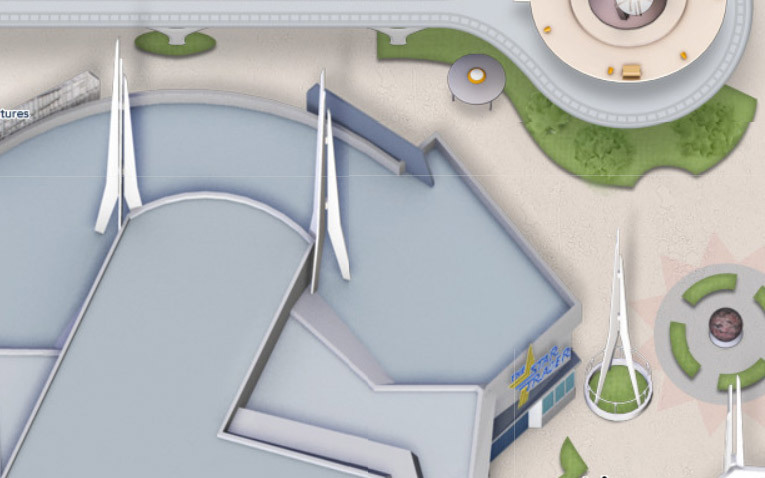 It is in the shape of an "L". 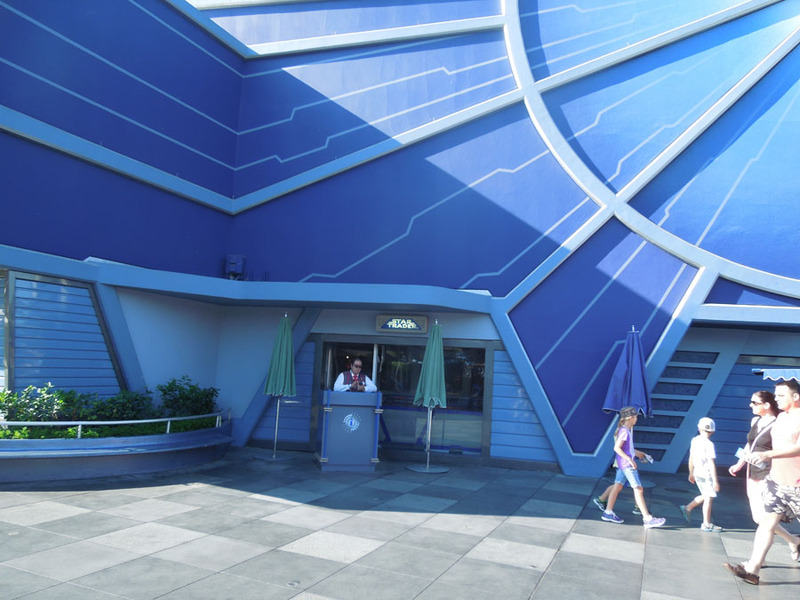 Part of the shop is parallel to the main Tomorrowland entrance road, Part of the shop is parallel to the road which leads south to Space Mountain. There is a damn X-wing fighter hanging in one corner of this store. Didn't get a picture. 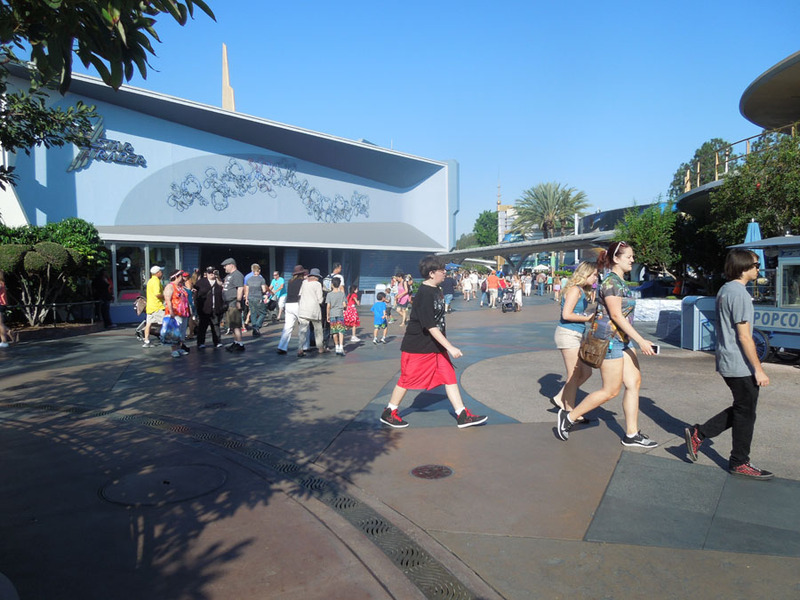 This is the outside of the store. 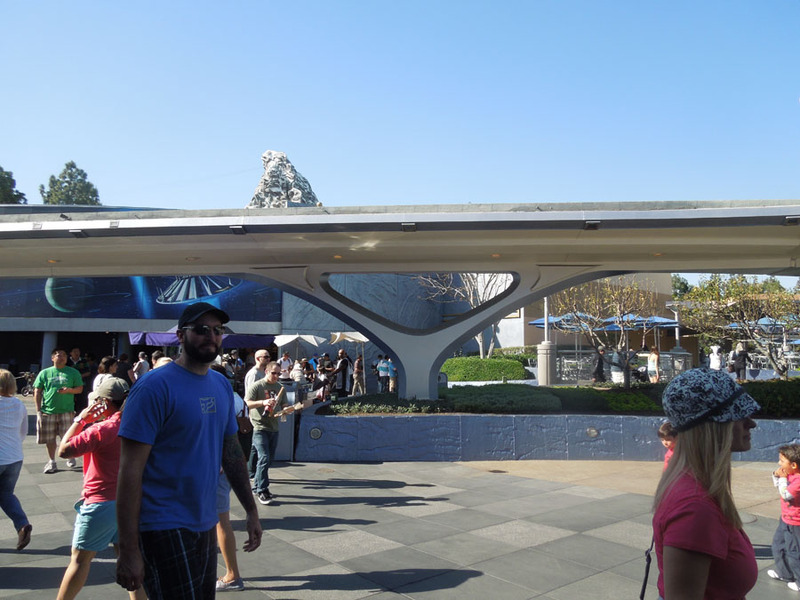 Outside of Star Trader, the insane pile of futuristic space stuff on top of the old Peoplemover loading platform. 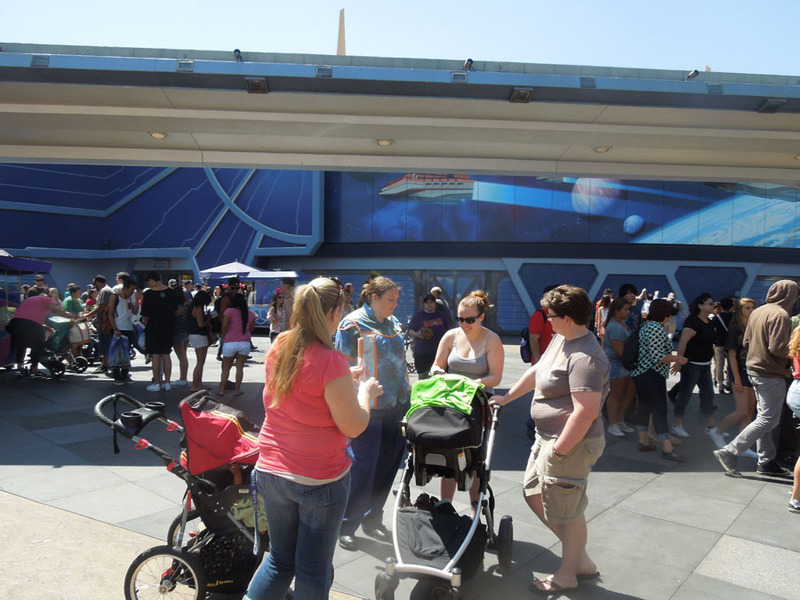 Looking across at Buzz Lightyear and the Star Tours Fastpass Distribution place. 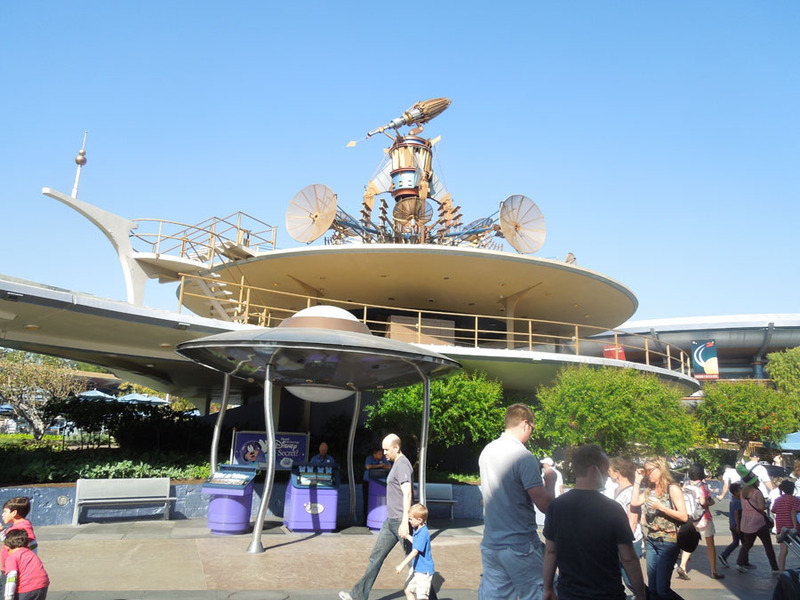 The flying saucer across from Star Trader is a little sales kiosk for Disney vacation club. 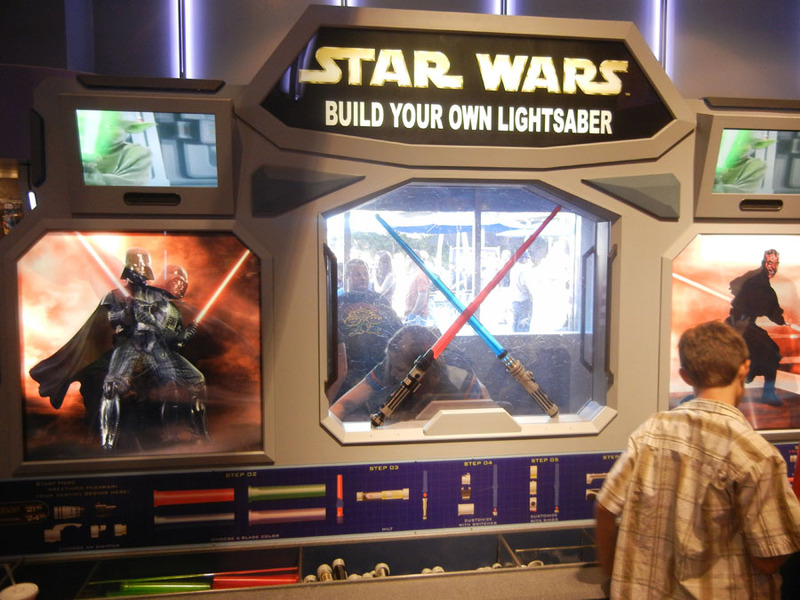 Build your own Lightsaber in Star Traders. 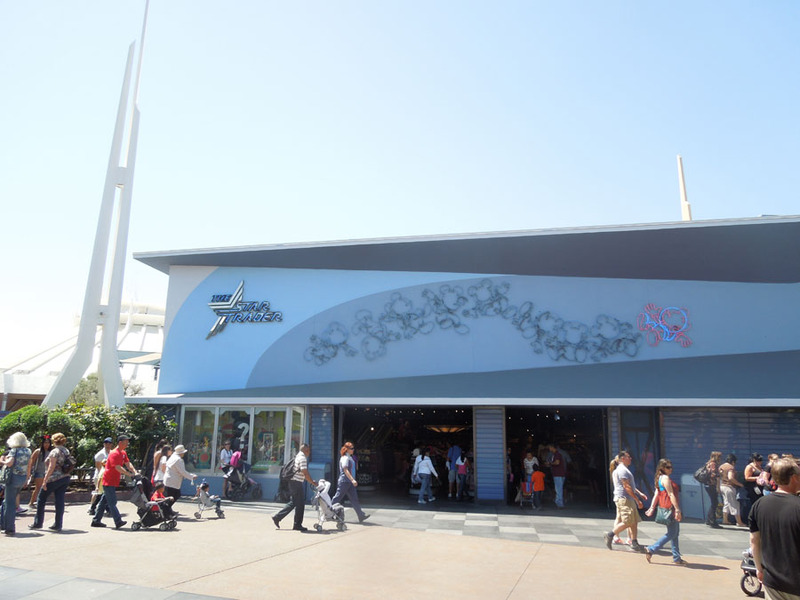 The east side of Star Trader with Mickey Mouse astronaut neon animation. 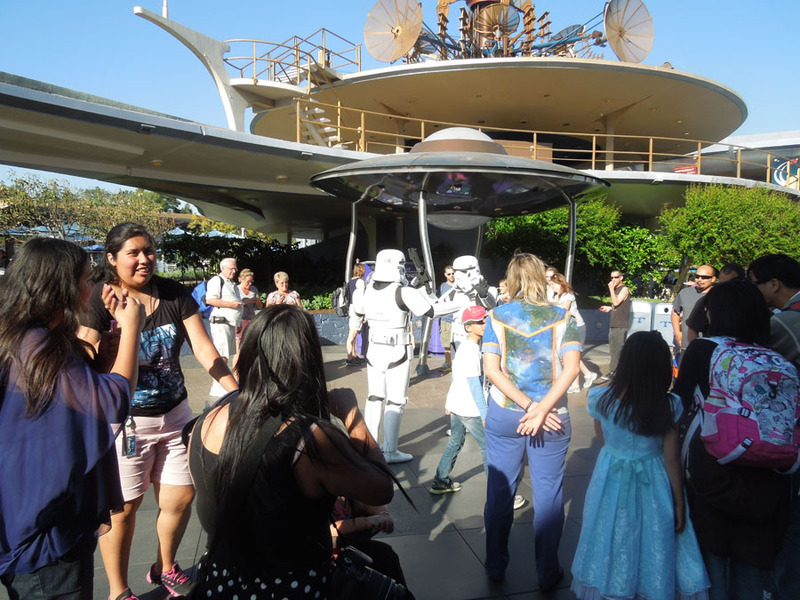 Star Trader from a distance. 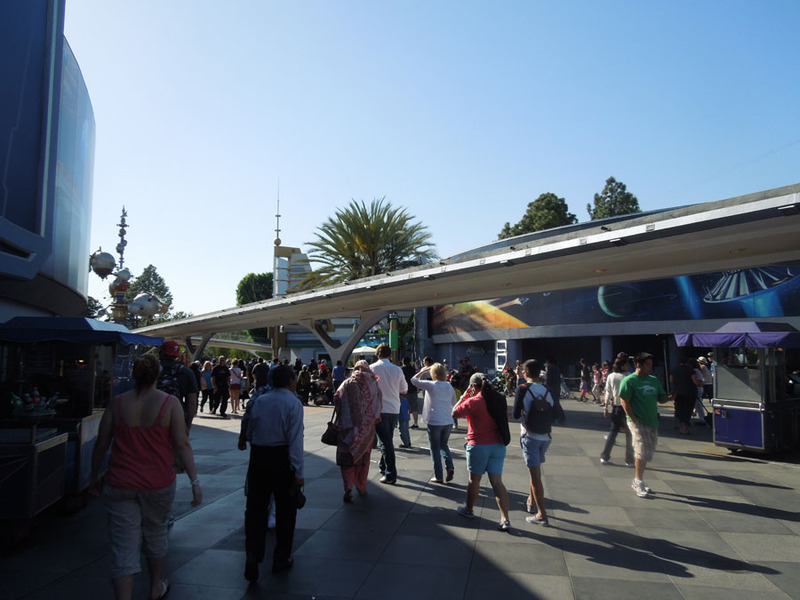 Another shot of the flying saucer. 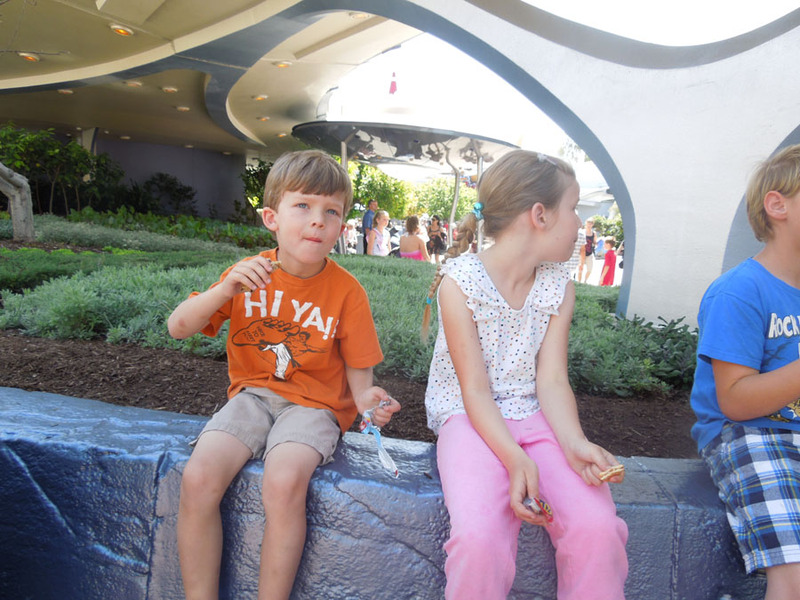 Disneyland lore says that these plants behind the kids are edible. 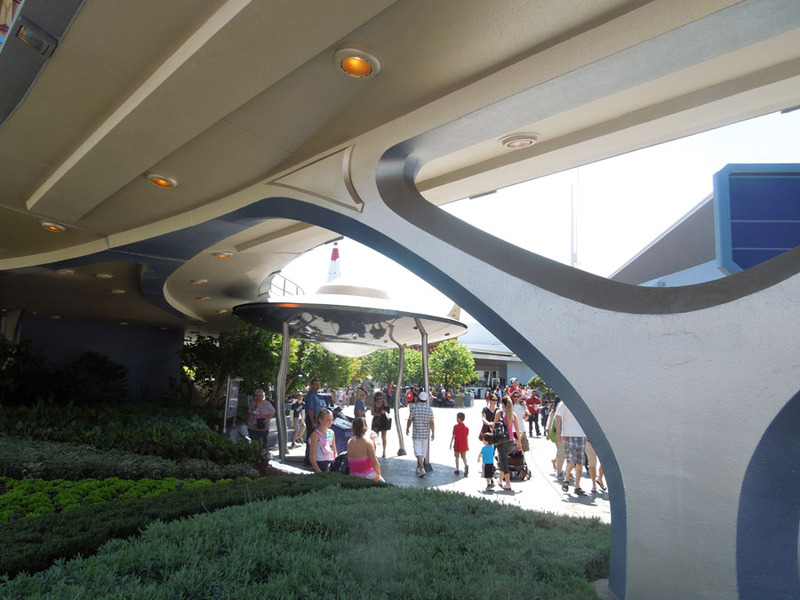 A tiny Tomorrowland field of crops. 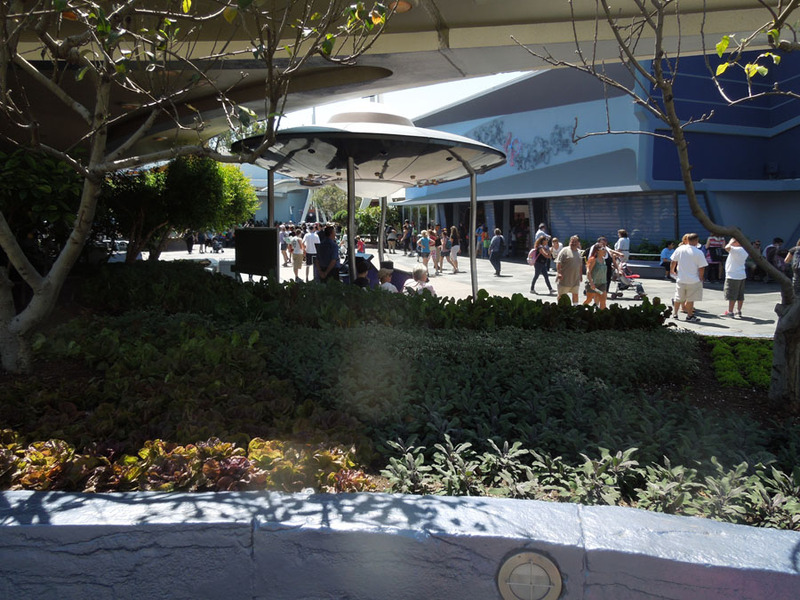 According to Tomorrowland predictions, plants will grow in the cool shade while Disneyland guests enjoy the full summer sun. 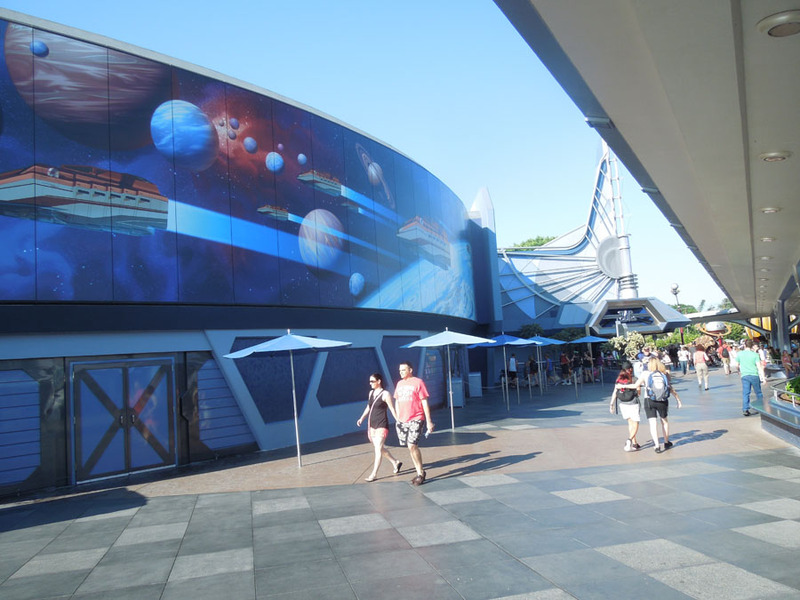 The edge of Star Trader, with Space Mountain.